3) I set up some form now (ex: find in "FAVORITES", with the star) in 2 languages, italian and english. I set up also a different "thank you page" when people send the form and I set up a "CONDITIONAL" (if the language is English, please show thank you page in english). 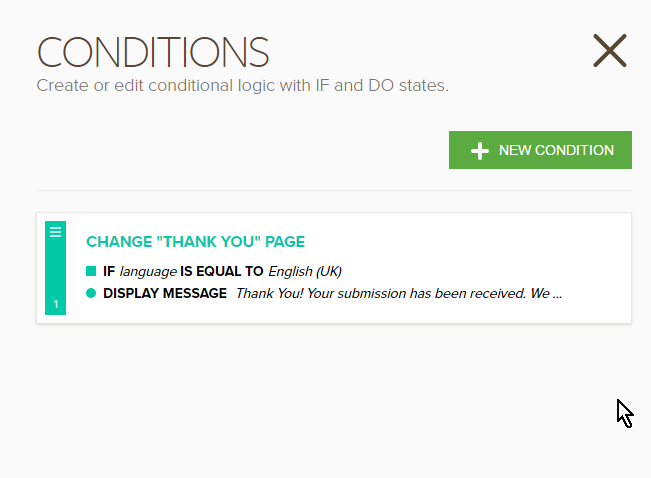 May I know if you have followed the instructions here: https://www.jotform.com/help/333-How-to-change-thank-you-message-depending-on-the-language-used. You can test my cloned form here: https://form.jotform.com/61224313247951. If the language is set to Italian, it should show the default thank you page in Italian, when the language is set to English (UK), it should show the conditionally setup thank you page that is in English. Let us know if you are still having problems on this.